Taking its drive against illegal immigrants a step further, the All Arunachal Pradesh Students’ Union (AAPSU) has announced to carry out its second phase of Operation Clean Drive in all the villages of the state. 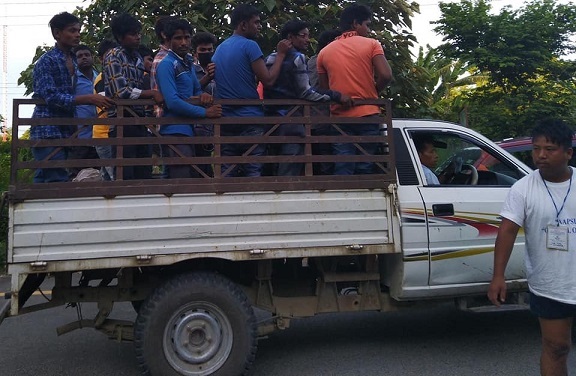 In the wake of neighbouring state Assam publishing its final draft of the National Register of Citizens (NRC) on July 30, the AAPSU had on August 17 launched its first phase of Operation Clean Drive, a statewide campaign against illegal immigrants and Inner Line Permit (ILP) violators. The AAPSU and its federal units during the drive carried out on August 17 and 18 had detected over 2000 ILP violators across the state. Addressing media persons at the Press Club here on Wednesday evening, AAPSU president, Hawa Bagang reiterated that the drive was only to check infiltration of illegal migrants and regulate the ILP system in Arunachal Pradesh effectively and not to harass any Indian citizen. “Our only intention is to safeguard the indigenous rights of our people,” Bagang said. Bagang alleged that the police department and district administration have miserably failed to check illegal migration in the state and the same had compelled AAPSU to intervene and initiate its operation clean drive. “The district administration should carry out door to door checking of ILPs throughout the state for the safety of indigenous people,” he said. Bagang also went on to allege that the police personnel were charging as low as Rs 200 from non-Arunachalees as a bribe to enter the state and that many government officers, businessmen and contractors of the state were giving shelter to the illegal migrants. The state government should take action against such police personnel and government employees, he demanded. He further said that a consultative meeting with all the district student unions would be held soon during which further consultations and discussions shall be held and the dates to launch the next phase of Operation Clean Drive shall be finalized. Meanwhile, the AAPSU and the entire Operation Clean Drive team have appealed to the administration, the police and especially the citizens to extend their support and cooperation to the union.